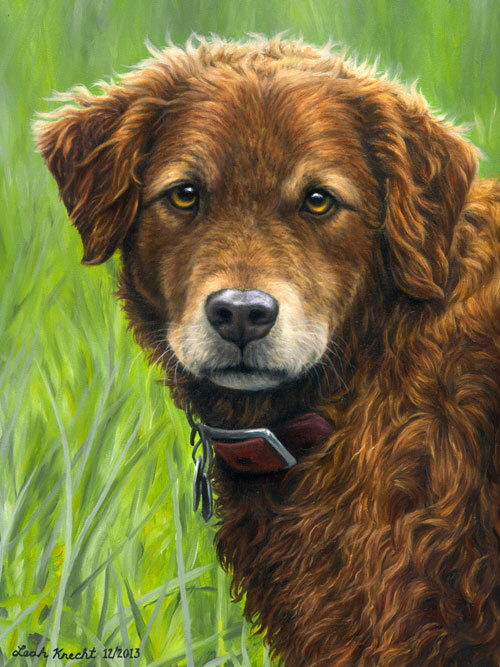 Commission a portrait of a beloved pet or person, traditionally hand-painted in oil or pastel by Leah Knecht, an award-winning, classically trained artist. From your favorite photo, she will create a custom portrait that captures your pet’s unique personality. 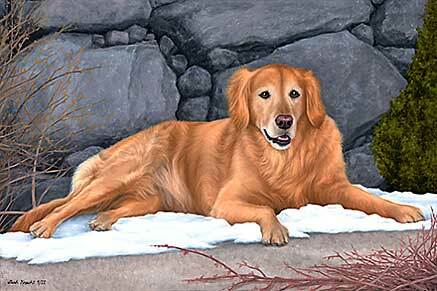 Her style is highly detailed, and depicts your pet’s likeness in a very realistic way. People remark they look “three-dimensional and alive.” Backgrounds can be added, too. • Exceptional quality art that you will be proud to own. • The perfect way to immortalize your beloved pet forever. • A great gift for pet lovers. Gift Certificates are available. • Framing Packages in custom and stock frames available. • Completely custom, hand-painted only by Leah Knecht. Oh Leah – The painting arrived and it is so beautiful – I am speechless. Thank you for helping me keep her memory alive. It is completely priceless to me. You are truly a blessing! The “Classic” Difference: Leah paints in the time-tested techniques of the Old Masters of the Renaissance, using only high quality, lasting materials, and each portrait is completed to the clients satisfaction. She strives to capture the personality of your pet or loved one. Some artists produce digital “Paintings” which aren’t long-lasting, and don’t have the depth of a real oil painting. The beauty, details, and quality of Leah’s portraits is apparent. 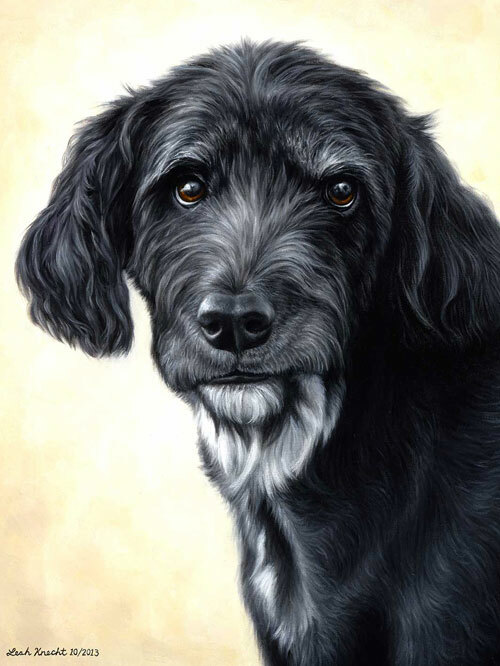 Compare close-ups of her work with other pet portraits, and you will be convinced! 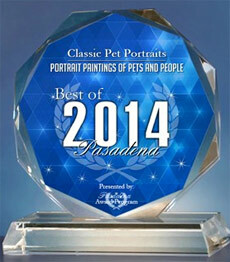 PASADENA June 5, 2014 — Classic Pet Portraits has been selected for the 2014 Best of Pasadena Award in the Portrait Studio category by the Pasadena Award Program. Various sources of information were gathered and analyzed to choose the winners in each category. The 2014 Pasadena Award Program focuses on quality, not quantity. This review verdict has to be the easiest 10/10 that we have ever or will ever give on The Dog Express. Leah’s paintings are simply stunning. 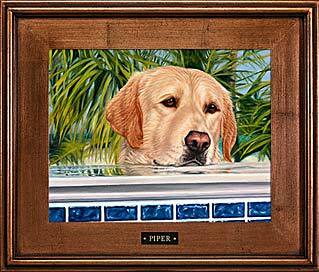 We are amazed by the quality and creativity shown in all of the Classic Pet Portrait paintings. These timeless, classic paintings will give years of joy to you as a pet owner, whether your beloved animal is still with you or not. 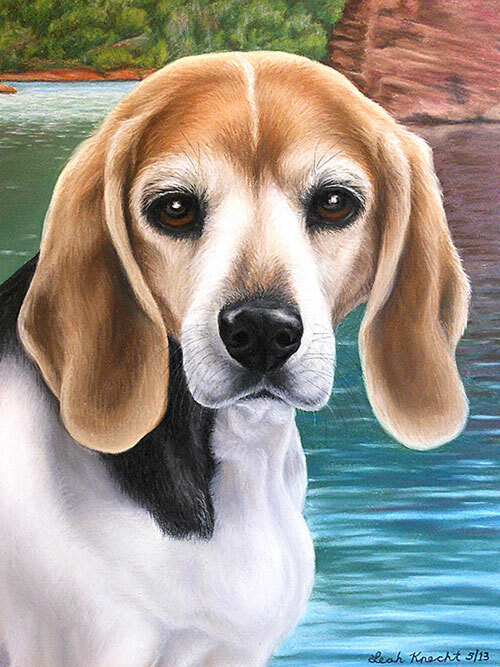 If you have a photo of your pet and are looking for a way to immortalize them forever, or you are thinking of a suitable gift for a pet lover, there really is no better way than to commission one of Leah’s paintings. 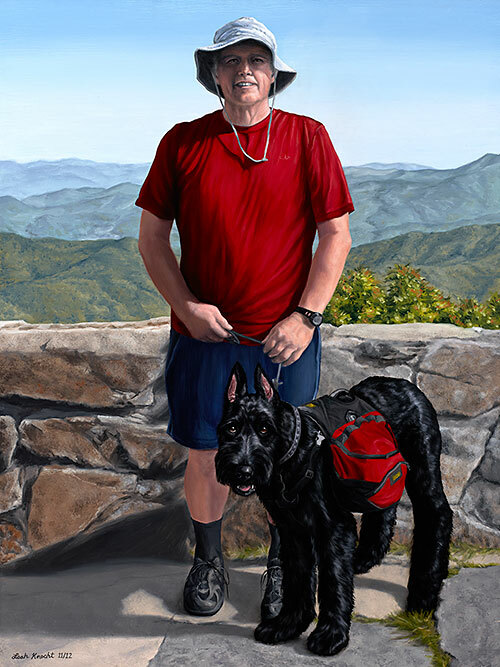 Articles in Pasadena House and Garden: “Bringing Your Pet to Life” Pasadena artist creates a lifetime of memories. Gallery Wrap Offered — All 4 Sides Painted! Leah can transform even a sub-par quality photo into a beautiful work of art. Many clients have a favorite photo of their pet, but often the photo is blurred, too dark, or not clear. Leah has the skill and experience to overcome these obstacles. 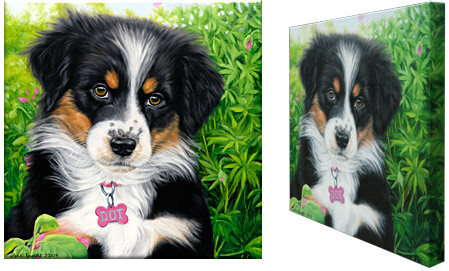 She can also combine your pets into a single portrait, or add a stunning background. See More Examples. 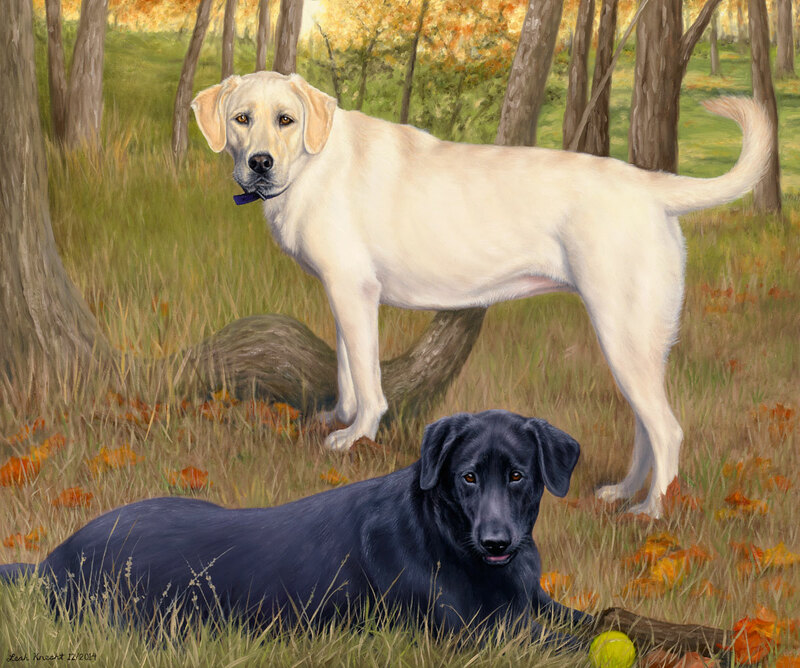 Original Photo: Leah placed Grace in her favorite spot, made her less gray around her face, and her true color is shown.